a chapter by chapter review of Van Til’s Apologetic: Reading & Analysis by Greg Bahnsen, P&R Publishing, 1998. In Van Til’s Apologetic we continue examining what Bahnsen presents as the beginning concepts or core thought anchors in Van Til’s work. Before we continue I want to mention a few things as we proceed through VTA. In this series of chapter by chapter reviews we are looking at VTA with an inquiring eye rather than simply giving a condensed re-telling of its content. Van Til’s concepts and method fit within a larger world of ideas. Because that is the case we should want to examine his key concepts and method in relation to what was going on around him and how ideas which preceded him impacted his concepts and method. So far in three posts we will have managed to only get within sight of the first half-a-dozen pages or so. Not to worry, though. Topping out at over 700 pages we will not go through the whole of VTA at such a slow pace or we might still be doing this a year from now. We are going at slower pace in the opening chapters since the foundational concepts and driving components of Van Til’s method are so very important to understanding the rest of the book. After we get through chapter 2 the pace of these posts will quicken given that the remainder of VTA is mostly an expansion of what we learn in the first two chapters. It has helped me to learn over the years that there is by now more than one Presuppositional theory and method. Van Til’s method represent the earliest among those various Presuppositional method that are well known. In this series of reviews we analyse only Van Til’s method and may refer to other variations for explanation. It wouldn’t be fair to say that Van Til was Kantian in the thoroughgoing sense, but neither is it square with the facts to say that Van Til was not Kantian in any sense. Van Til was Kantian in his own way. That much we can be sure of. I get push-back from the many Presuppositionalists when this news comes to their ears. That Van Til was Kantian in some degree, however, cannot be so easily dismissed. In this post we will highlight one concept that Bahnsen notes across sections 1.2 and 1.3 – namely, Van Til’s concept of “a transcendental defense of Christianity” (p5-6). In the next post (sections 1.2 and 1.3, part two of two) we will look at the importance to the Presuppositionalist that he “challenge the unbeliever” in “his worldview” (p5). We will look now at Van Til’s “transcendental defense” and its genetic heritage in Immanuel Kant. The topic of Van Til’s “transcendental defense” will carry over into the next post as well as section 1.4 (p7-26). At present we will see saw how the basics of his “transcendental defense” has similarity with Kant’s transcendental idealism and how it flows through Van Til’s method. Question – So are those of us who see Kant’s ideas in Van Til seeing too much? I can confidently say, no. Hear now a few insights from those who know Van Til’s work as well or better than most. “…many followers of Van Til see his system as a kind of transcendental argument which contends that it is absolutely necessary to presuppose the divine revelation in the Bible before one can consistently think, communicate, do science, or make any sense out of life or his world.” (N. L. Geisler and P. D. Feinberg, An Introduction to Philosophy, 264). William White concurs that the origin of Van Til’s use of the term “presupposition” is to be found in Kant. (W. White, Jr., Van Til: Defender ofthe Faith, 74-75). Scott Oliphint, a prominent Presuppositionalist, says about a statement Van Til made on God’s knowledge that, “Van Til is using the term ‘analytical’ in the Kantian sense.” (Defense of the Faith, 2008, 4th edition of 1955, 32). But though it needs proof, it should be entitled a principle, not a theorem, because it has the peculiar character that it makes possible the very experience which is its own ground of proof, and that in this experience it must always itself be presupposed. (Immanuel Kant, Critique of Pure Reason [trans. Norman Kemp Smith; London: MacMillan, 1958], B765). All men have a priori assumptions in terms of which they approach the facts that confront them. The Christian frankly admits that his a priori is the assumption of the existence of the ontological Trinity, the temporal fiat creation of the universe, and man’s creation in the image of God. The non-Christian has a different sort of a priori. Every non-Christian has an a priori. And the a priori of every non-Christian is different, radically different, from that of the Christian. …all reasoning is, in the nature of the case, circular reasoning. The starting-point, the method, and the conclusion are always involved in one another. (Van Til, The Defense of the Faith, p. 101). The best, the only, the absolutely certain proof of the truth of Christianity is that unless its truth be presupposed there is no proof of anything. Christianity is proved as being the very foundation of the idea of proof itself. The only proof for the existence of God is that without God you couldn’t prove anything. The two realms must not touch. The two circles or zones of reality must not touch…in Van Til’s apologetic axiom. Again Kant. John Muether who wrote a biography of Van Til notes how important it was for him that the circles not touch. Presuppositionalists will and have objected to this presentation of the stark dichotomy in Van Til’s axiom. 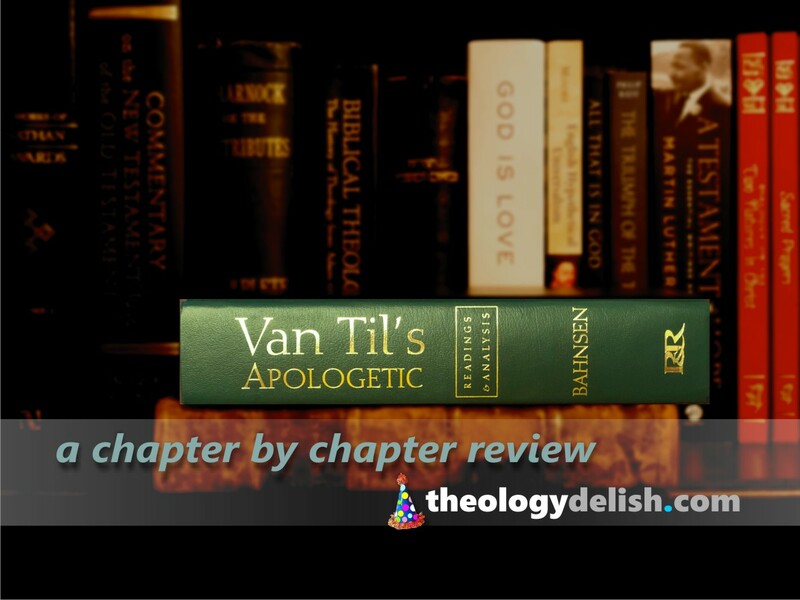 Along with his hard dichotomy Van Til incorporates Scripture in his Apologetic…as he should. 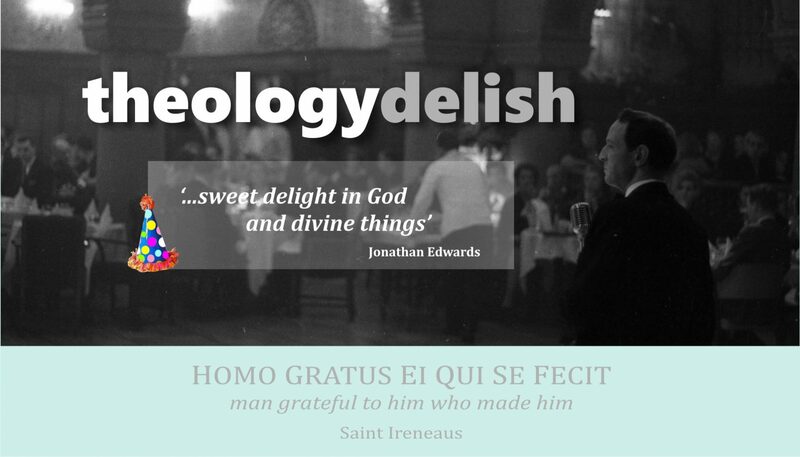 This tends to soften the edges of his dichotomy, but still he clings to the Kantian dichotomy between God “incomprehensible” and man finite who possesses no analogy of being with God. The difficulty for the Presuppositional method is that using texts of Scripture is not enough to baptize Kant in Van Til’s method. His Presuppositionalism has to square its “transcendental defense” with Scripture which clearly unfolds repeatedly the Creator-creature distinction as one in which God still maintains his aseity both within and without the creaturely realm. It is not necessary to set God off by himself – as in both Kant’s system and Van Til’s system and for that matter in Karl Barth’s system – in order for God’s aseity to be preserved. The fact that Scripture presents YHWH as the I AM who can be in the world, but not of it is one of the pivot theological truths which propelled the Reformation forward. He, the Almighty, was not subject to means (or instrumentality), yet he sovereignly used or uses certain means in this world to his ends. That truth is the headwaters of the Five Solas. Frankly, God “presupposed” and transcendantally indisposed make the Five Solas inconceivable. The Reformers did not want to make the mistake of some philosophical theologians around them and before them who explained God in voluntarist terms or nominalist terms. From where did this baptized Kantianism originate? In the next post we will see other ways Van Til’s method is reflected in his use of the idea of “worldview” – see sections 1.2 and 1.3 (part TWO of two). Van Til’s approach is “Kantian” in the sense of the type of argument used (transcendental) but not in the sense of a similar view of reality as you claim. The upper circle of Van Til’s worldview is the polar opposite of Kant’s noumenal realm. The upper circle of Van Til’s illustration represents God, who is absolutely rational, whereas reason cannot extend to Kant’s noumenal realm. Van Til denies a noumenal realm, where there are things out in the world that have yet to be interpreted; rather, all facts are interpreted from eternity past by God: “There are no ‘brute facts’ i.e. facts uninterpreted by God as well as man. We may even say that it is God’s interpretation that is epistemologically prior to the existence of any fact in the universe” (Christianity and Idealism, p. 77). Van Til defends the autonomy of God whereas Kant defends the autonomy of man: “If Christianity is true, the ‘facts’ are what God says they must be; if the Kantian position is true, the ‘facts’ are what man says they must be” (Christianity and Idealism, p. 135). Both Van Til and Kant recognize that the issue of accounting for human knowledge is a matter of relating the one and the many. The difference is that Van Til places the origin of the relationship between the one and the many in God’s eternal plan for the universe; whereas Kant sees man as the origin of the relationship between the one and the many – the varying inputs from sense experience are combined in an original act in the mind of man with the categories of thought. Kant’s view means that the world ultimately unstructured and irrational, whereas Van Til’s view means that the world is ultimately rational – an absolutely rational God determines everything that comes to pass. Thanks Mike for the contrast. We would not say that Van Til is Kantian in the fullest sense, but the way he describes God such that we can only have “analogical” knowledge of him sets God apart from his creation in a way doesn’t fit with the biblical narrative. Van Til’s concept of “analogical knowledge” means that human knowledge is derived from God’s knowledge. Just as we are created in the “image of God” (reflecting God on a finite scale), our knowledge is a finite reflection of God’s comprehensive knowledge. Gordon Clark accused Van Til of teaching that human knowledge is an “analogy of the truth.” Van Til did not use that phrase. Humans have truth, not just an analogy of it.